Tonight I went over to my parents’ house for a game night – in which my dad, sisters, uncle, sisters’ boyfriends and two of my boy cousins sat downstairs and played RISK for 3+ hours and my mom and I played Scrabble, Scrabble Slam and didn’t even try to act like we knew a thing about RISK or how to play it. 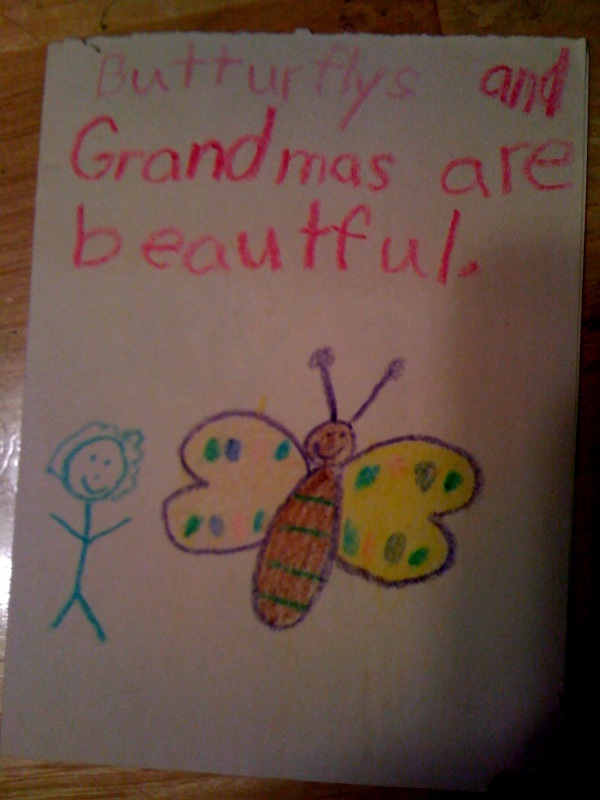 Before anyone got there, my mom showed me a card. 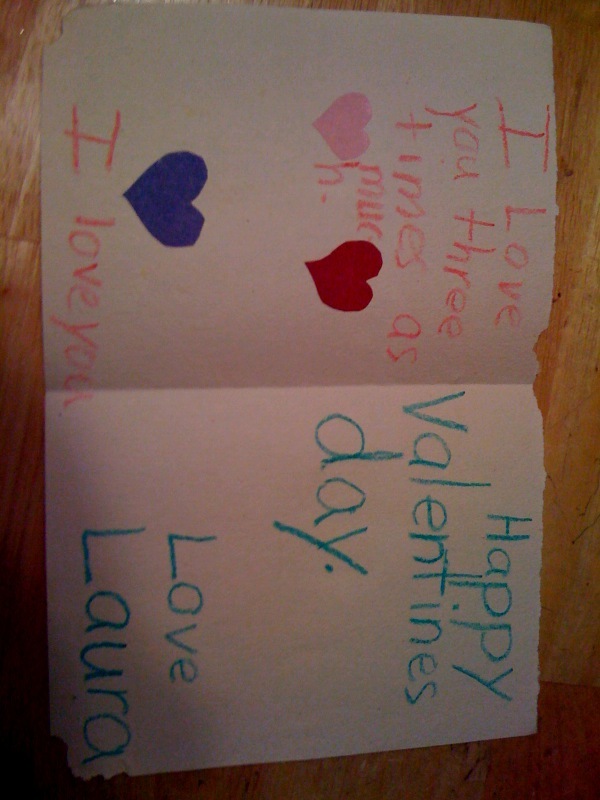 It’s something my grandma found at her house, a Valentine’s Day card that I made her several years ago. It’s still in pretty good shape considering it’s probably more than 15 years old. I thought it was pretty cute and wanted to take a picture of it, but my mom said I could just keep it. I may be biased, but I like it. I have it in my room now, and I want to frame it next to a picture of us together. 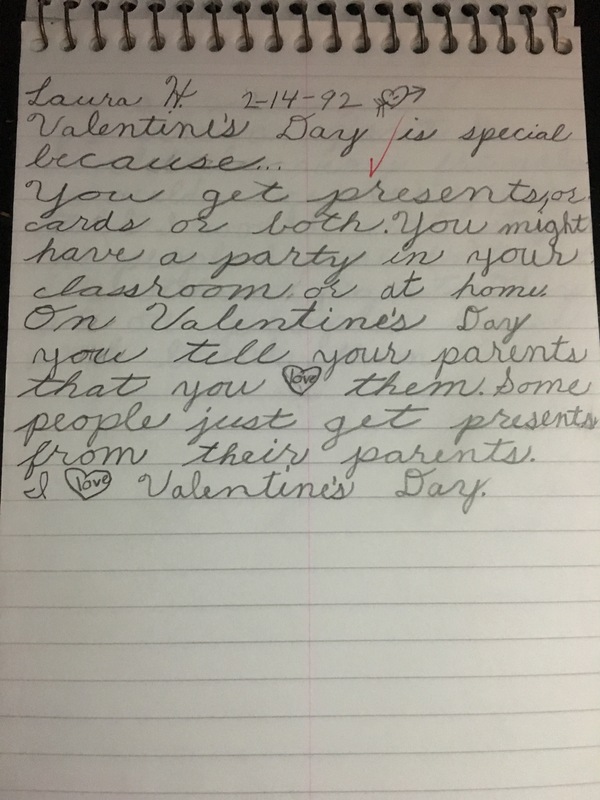 And I’m pretty much convinced that elementary school me could have easily gotten a job writing greeting cards for Hallmark. P.s. I still draw people the same.